Almost held with averted vision, oval to slightly elongated, faint, evenly bright. Evident with averted vision, slightly elongated, evenly bright. 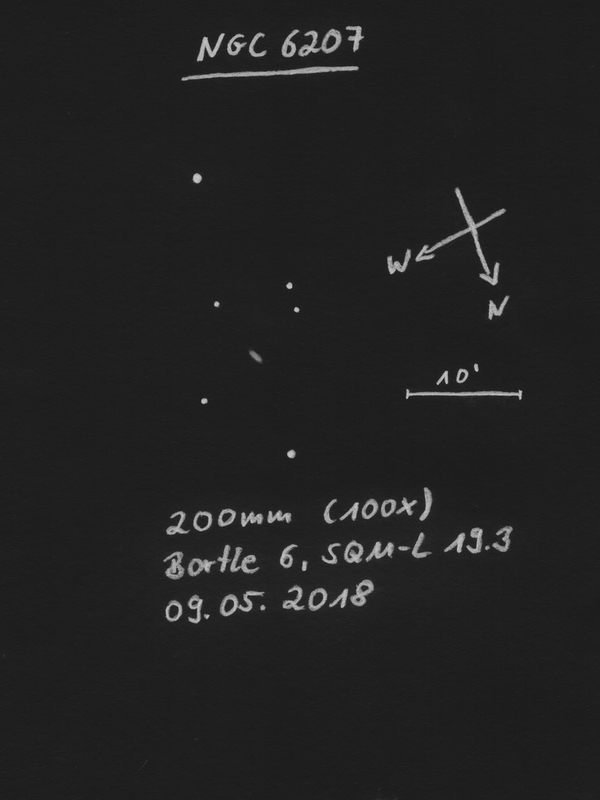 SQM-L 20.5: Extremely faint, obviously elongated. Points towards a nearby 11.3m star. Glimpsed in some few moments with averted vision.